We’re absolutely delighted to have Kelsey and Shaun of Happyolks share their salad inspiration with us during the heat of summer and right before our wedding day. It’s the perfect antidote if you’re caught in the summer doldrums. They’re another couple whose love and passion for food and each other is through the roof and shown vividly on their gorgeous blog. 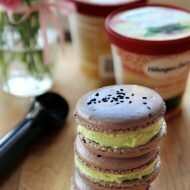 I don’t think there is a more appropriate place to share my first guest post than here, at The Ravenous Couple. I couldn’t be happier for Kim and Hong – as they prepare for their wedding, I’m sure they’re beginning to see glimpses of the new and rich adventures that lay before them in their lifelong partnership. Shaun and I both share Kim and Hong’s passion for creating memories through mealtime and cherish the journey of cooking life. Knocking elbows around the sink and over the stove with our loved ones can be a sacred ritual for us to share ideas, navigate tough conversations, laugh, and ultimately reconnect after long day. In the fall, I spent four months travelling through Africa and Asia. When I returned, the kitchen was a spiritual space to help me process my experiences, and a place to bring the cultural influences of the world and my own together. This Asian-inspired Zucchini Noodle recipe is a blend of, well, many parts of the continent. It includes the fresh herbs of Vietnam, the sweetness of Thailand, the heat of India, and a bit of miso-magic from Japan. There are no flour-based noodles involved in this dish; instead we make the noodles from raw zucchinis with a mandolin. Light, fresh, and perfect for a warm summer day. Try it on for size. Make it your own! Experimentation is the heart of life. 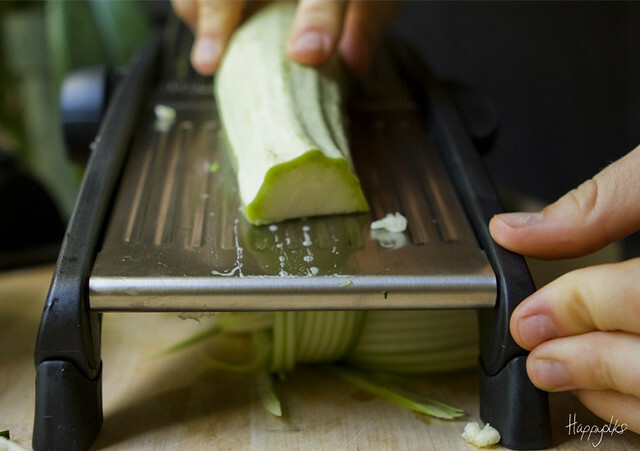 With a mandolin, carefully slice the zucchini into thin strips. Repeat with carrots. This is your noodle base. Remove stems from basil, and chop into thin strips with a sharp knife. 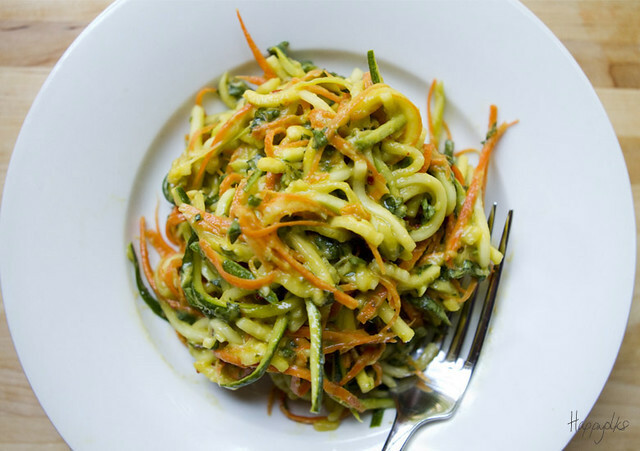 Combine zucchini, carrots, and basil in a medium sized bowl and set aside. 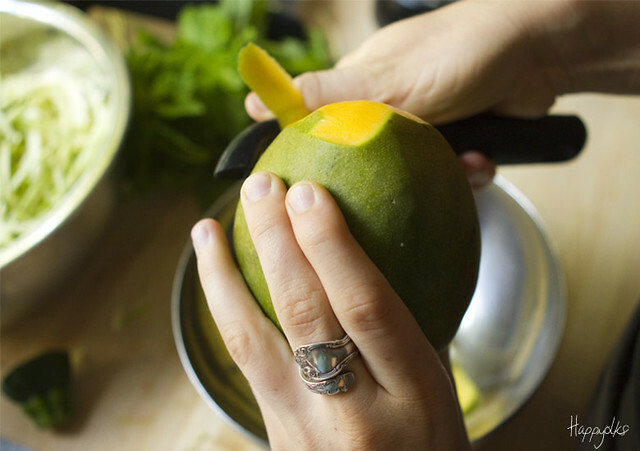 In a blender, combine avocado, miso/water mixture, peeled and chopped mango, mint, ginger, rice vinegar, shoyu, red pepper flakes, and juice of one lime. 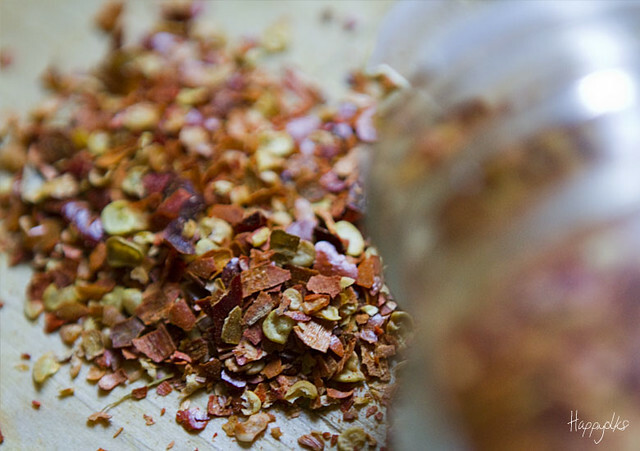 Blend on a low setting to liquefy. Pour over the zucchini mixture and stir to coat. Let rest for 10 minutes before serving. Add salt/shoyu to taste. Kelsey and Shaun of Happyolks. 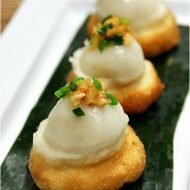 Visit their blog for more fantastic recipes! Wonderful recipe! I love all the bright colors and flavor combination! Wishing you a magical time tomorrow and for years to come as you two share a life path together. omg. this looks amazing. congratulations on your beautiful wedding!!! Perfect summer meal with in season ingredients. I love it.. Running out to buy a mandolin just to make this! Blessings to both of you for your wedding. I am in love with this recipe!!!!!! Dang, just 1 more reason I DESPERATELY need a mandolin! Well done. I am getting into raw foods lately. Julia and Angela! 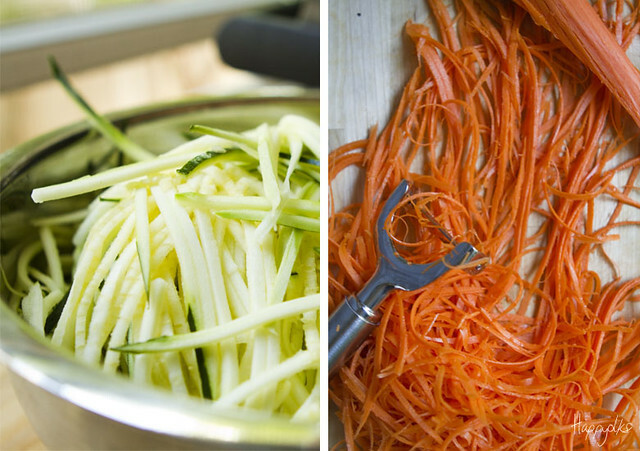 You can make noodles with a julienne peeler, too. They’re about $15 and I use them often for salad toppers, etc. But you’re right, a mandoline is a great investment. Beet chips, Sweet potato fries, the list goes on. 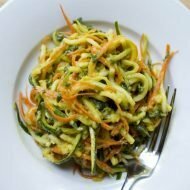 I really like the sound of this zucchini and mango julienned salad! Just made this! Game changer! 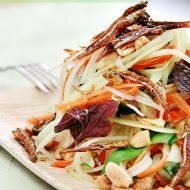 My new go-to raw noodle recipe!